This is a high-gain, wideband OWA (Optimised Wideband Array) Yagi which covers the whole of the 20m band with an SWR of less than1.25:1. It has options with both UK/USA and European sized tube and has a 4 section taper. 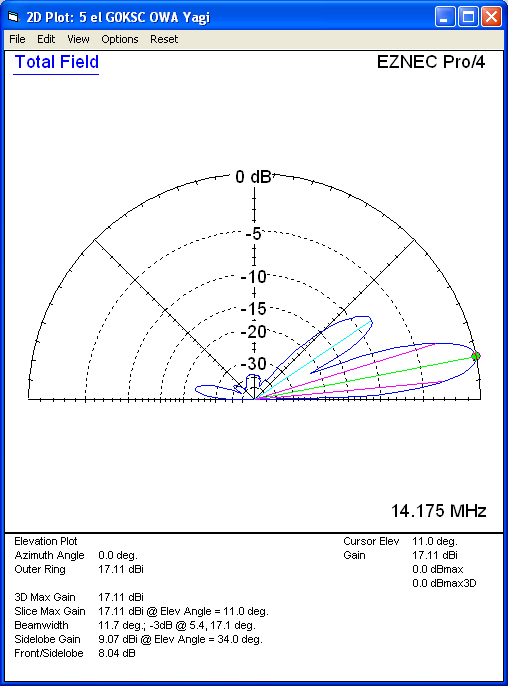 This Antenna has been modelled using NEC4 and confirmed by FEKO. 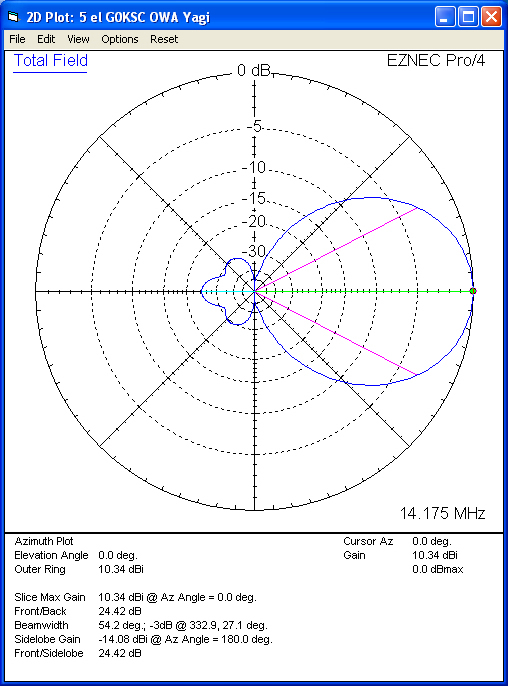 This is thousands of dollars of the very latest antenna design software available and the results are highly accurate. 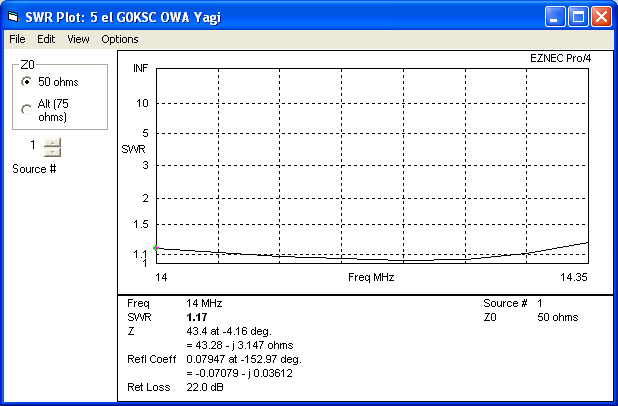 When loading into your software, you will see similar SWR but not the same. Please do not alter the model, build to these dimensions for the best results. Contact me if you are unsure what correction (if any) you require for the element holders/stand-offs you will use or any other questions you may have. Refer to the above drawing. Taper: inner Section, 1.25 inch or 30mm tube (total length 2.2m). Mid Section 1 inch or 25mm tube, Outer section 3/4 inch or 20mm tube. 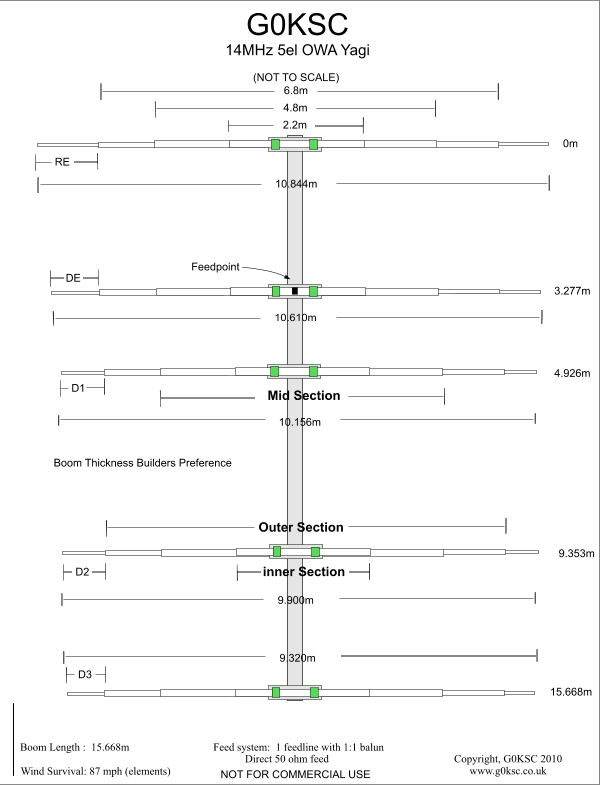 End sections as per below schedule ( 5/8 inch or 16mm tube).